If you Google “how to” the first or second result usually is “how to hack Facebook.” As you can tell from the search suggestions, apparently many people want to know how Facebook can be hacked. Though it’s not that easy, there are many ways to hack a Facebook account. For instance, some use phishing attacks, some may sneakily install keylogger applications to know your password, some try their luck with common passwords like 123456 or predictable passwords like phone numbers, date of births, important dates, names, etc. So, it goes without saying that it is important that you protect your Facebook account to be safe and secure. 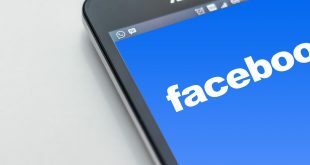 After all, every Facebook account has so much personal information like your messages, photos, and other stuff that would cause a disaster if it falls into wrong hands or if the information leaked publicly. To deal with that, here are some simple but effective tips that can help keep your Facebook account secure. Two-factor authentication is one of the best ways to protect your Facebook account from unauthorized access. 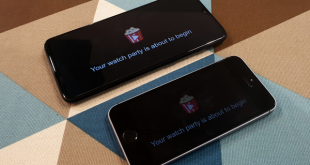 When you enable two-factor authentication, you need to enter a time-sensitive code that is sent to or generated by your mobile phone along with your regular account password. Without the generated time-sensitive code, no one can access your account even with the correct password. 1. 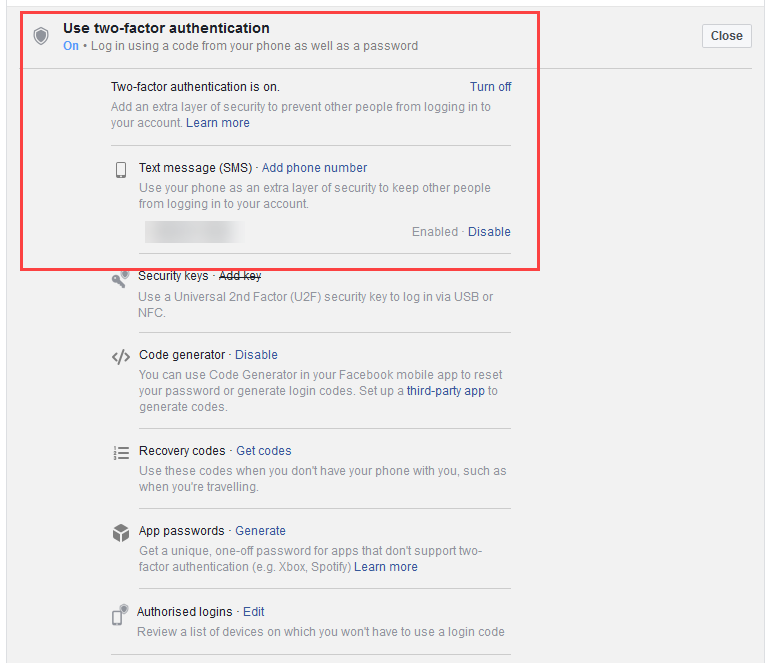 To enable two-factor authentication, log into your Facebook account and navigate to Settings > Security and Login. 2. Here, scroll down, expand “Use two-factor authentication” menu under “setting up extra security.” Enable two-factor authentication by clicking on the button “Turn on,” select the “Text message” option and follow the wizard. 1. Log into your Facebook account and navigate to Settings > Security and Login. 2. Here, scroll down and expand “Setting up extra security.” Now, click on the “Get alerts about unrecognized logins” and enable Email or SMS notifications. Once enabled. click on the “Save Changes” button. Set up a good security question that is not easy to guess. Not even your close friends should be able to guess the answer to your security question. What bad guys do is, they change your security question. When they have to log in, they click on the forget password link, answer the security questions to log into your Facebook account. So, always use strong security questions and answers to avoid being hacked. Unless you manually click on the logout link in your Facebook account, you will be logged in even when you close your browser. Under some circumstances, hackers can grab hold of browser cookies and use them to hack your Facebook account. So it is always advisable to close the active session on the device if you are not planning to log in for a long time or if it is not your system. Also, you should check and close active sessions periodically just to make sure that you didn’t leave your account logged in on some other system or smartphone. If you don’t remember logging in from a certain device in the list and suspect hacking activity, select the option “Not you?” and follow the displayed steps to secure your account. Check for the URL in the address bar and login only if it says https://www.facebook.com. Often, hackers use fake login pages (called phishing attacks) to trick you into giving your login username and password. So, make a habit of checking the URL before logging in. Pick a unique, strong, and long password for your Facebook account. Never use your phone number, date of birth, names of characters, etc., as your password. They are easy to guess, even when you are using special characters in them. 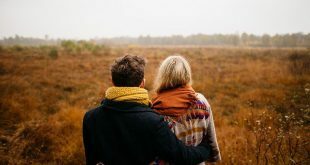 If you think it is hard to remember long and unique passwords with special characters then use a good password manager like LastPass. Also, change your Facebook password from time to time, especially if you find any suspicious activity on your wall. Don’t give your username and password to anyone, not even to your friends and family. 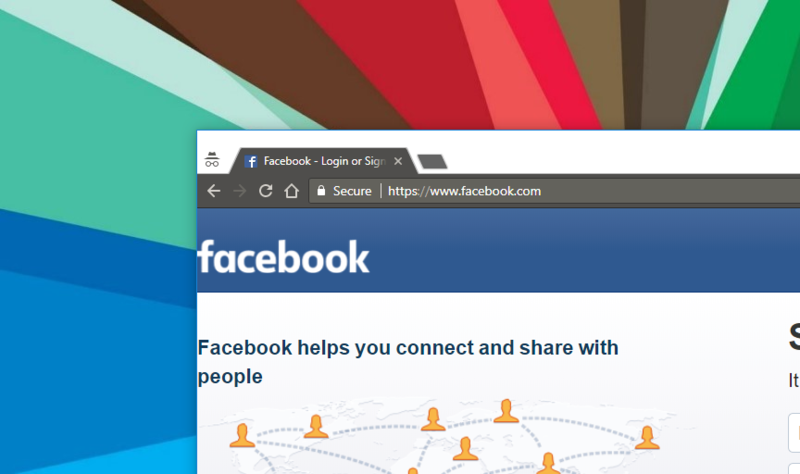 If you are logging in from anywhere other than your trusted device, it is better to open the Facebook page in the private browsing window (incognito window if you are using Chrome). The good thing about private browsing is that it won’t store your username, password or any other information. So you don’t have to worry about signing out, you can just close the window. That being said, it is always a good idea to sign out when you are done using Facebook, just make a habit of it. Check this guide on how to enable private browsing in different browsers. Don’t add people who you don’t know. Especially if it seems to be a suspicious or fake profile. They are most likely spammers or hackers who want to retrieve your personal information. Also, don’t trust every third-party Facebook application. Some of them might be spam or their main goal is to get access to as much personal info as possible. Use only those apps which you trust or very popular. For more info read Facebook security page. What to do if your Facebook account got hacked? The first thing to do is check if you can log in with your password. If you can login then change the account password immediately and delete all the posts and messages that are not posted by you. Next, inform all the friends on your friend list about the hacking activity and tell them to ignore any messages sent to them in past few days. Also, tell them to not click any links whatsoever sent by you in the meantime. These links may redirect them to a malicious website and compromise their account too. When you are done with all that, follow all the above tips to secure your Facebook account from future hacking attempts. In case you are not able to login with your old username and password, go to this special Facebook page and file the complaint. The Facebook team will be able to temporarily block and recover your account as soon as possible. If that didn’t work or you want the profile to be deleted or blocked from Facebook, you can ask your friends to report that profile as abuse to Facebook. The more people report the profile, the faster that profile will be blocked/deleted. 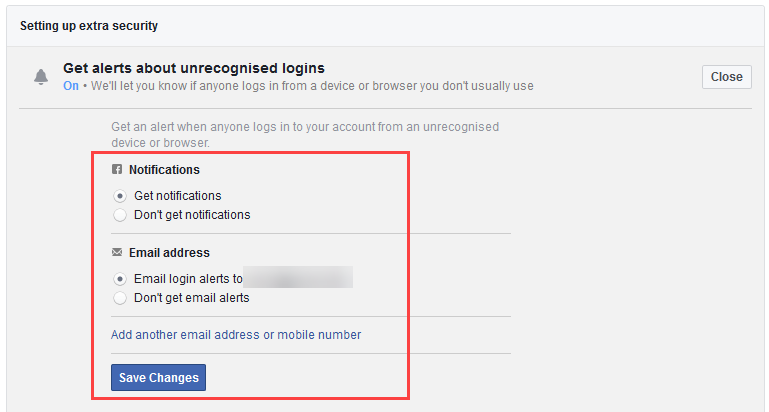 Always add a secondary email ID and/or mobile phone number to your Facebook account. This comes in handy as Facebook will send password reset link or any other instructions to help recover your account.